Sick of having dry lips? Look no further than this new release from Kiss cosmetics. It is called a scrub stick and it does exactly what it says, its helps to scrub your lips and leave them feeling smooth. 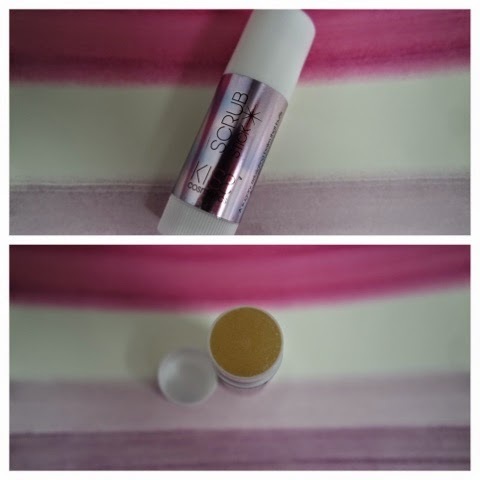 I have always suffered dry lips but the thought of scrubbing them didn’t sound too appealing as I didn’t want to make them sore but after trying this stick and almost buffing my lips in circular motions (as instructed on the packaging) I was pleasantly surprised. My lips didn’t feel sore at all and not only did it feel like all the dry skin had gone my lips felt like I have just applied a super moisturising balm too. As you apply the product it feels slightly sugary but it doesn’t leave any residue of bits on your lips, it just feels like a normal lip balm afterwards.